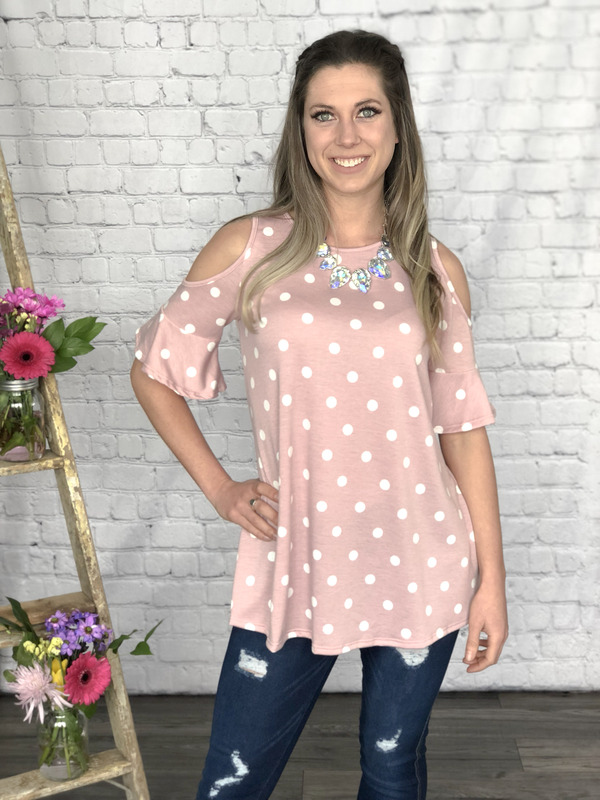 Sweet polka dot print colder shoulder ruffle long sleeve tunic is made with soft french terry. Perfect for casual everyday wear. Flowy Fit.